Eco Tide floor cleaner keeps your home fresh and free from germs. It can kill 99.99% of all germs. * This floor cleaner can clean tough stains ranging from coffee, ketchup, soy sauce, mustard sauce, olive oil etc. It is are easy to use and keeps your hands safe. It leaves a refreshing fragrance in the room after use. This Eco Tide! disinfectant surface cleaner can be used either directly or diluted. It can be used on different surfaces such as floors, ceramic tiles, kitchen counters and bathroom sinks. 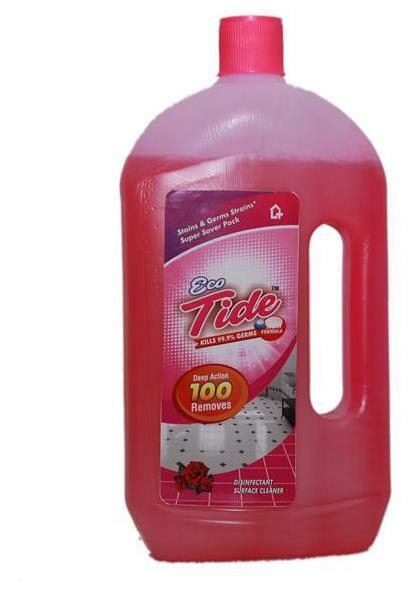 For lightly soiled areas you should clean by mixing Eco Tide! with water, and for heavy soiled areas you should use undiluted.